Do not hesitate to visit this amazing museum if you are nearby. 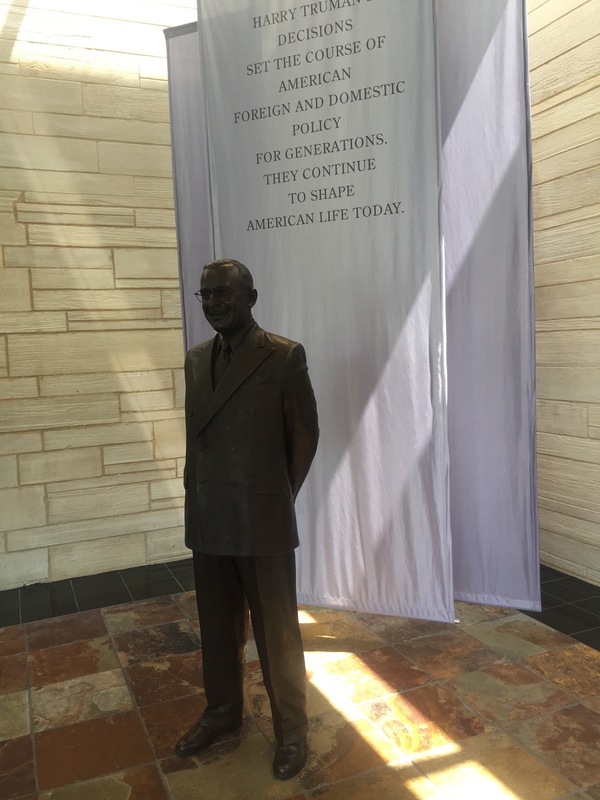 President Truman was a fascinating man who became an accidental president and ultimately guided America through the end of a world war, the Korean War and peacetime recovery. 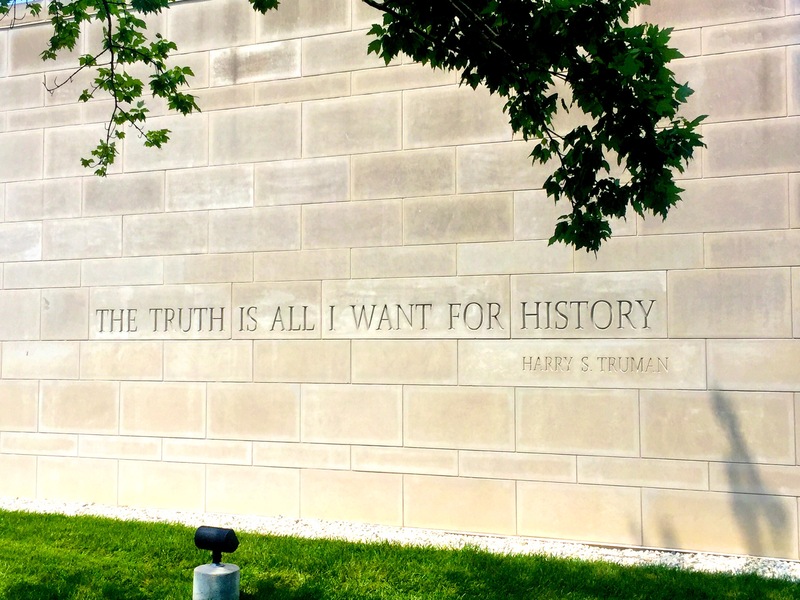 We learned quite a bit about the President and his times – the museum opened our eyes and fed our appetites for information, knowledge and historical tidbits. A statue of Harry gazing out into the garden he designed. 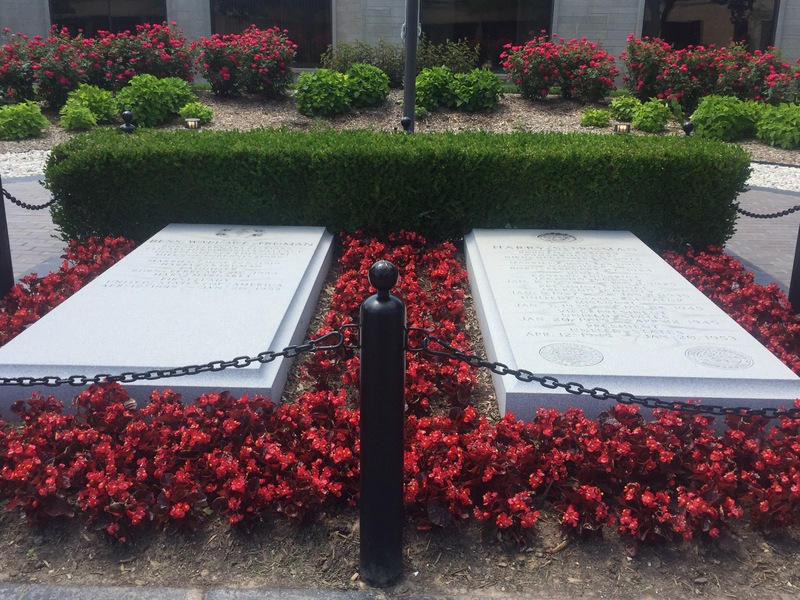 The gravesite of President Truman & his wife Bess who he treasured above all – the history of their courtship and marriage is touching and inspirational. Given today’s controversies regarding truth and facts – I thought this quote was remarkable. 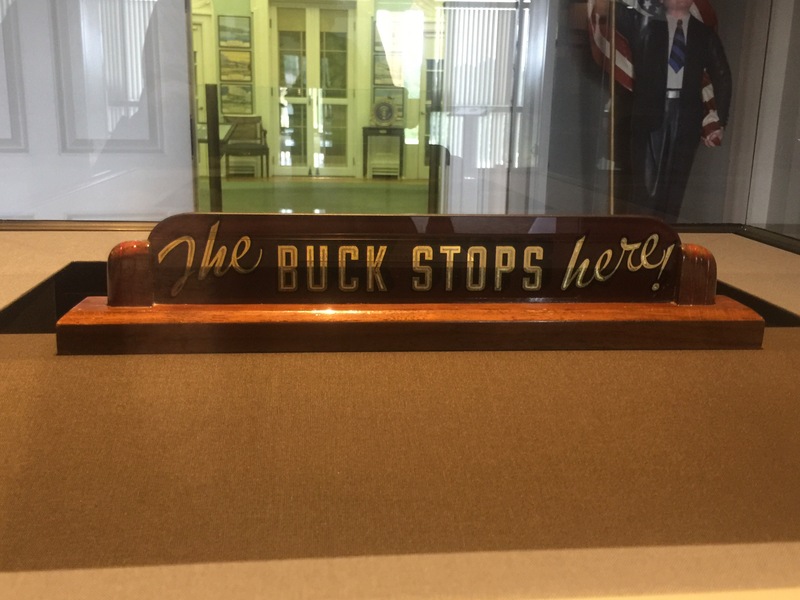 Just in case we have forgotten…..Harry never shirked his responsibilities – to his country, its soldiers and sailors, or it’s people white or black, and his dear family. He became a leader during his service in WWI and that experience benefitted him and us in the Number One seat! 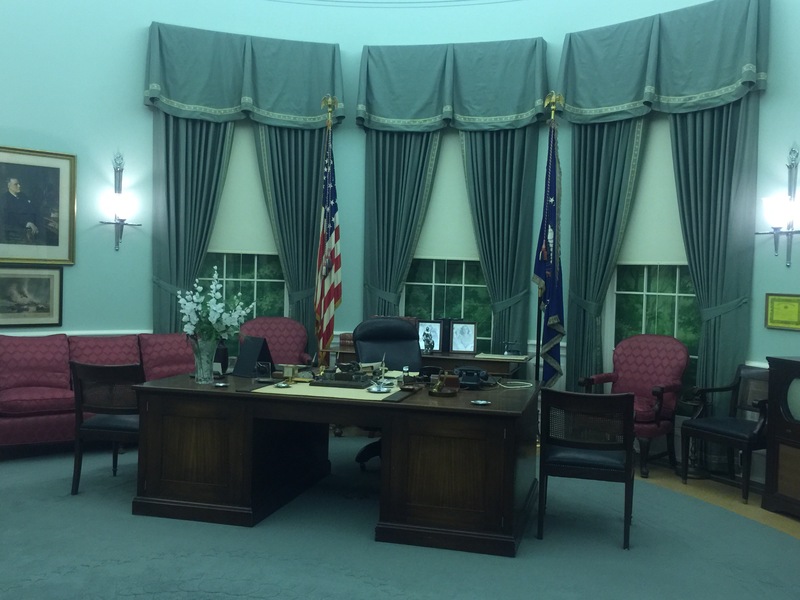 Replica of Truman’s office in the White House – during his first term he and the family moved the Blair House while the entire interior of the President’s house was rebuilt and modernized from the inside out. Years of poorly designed additions & repairs weakened the structure, caused ceilings to collapse and major plumbing issues. After three years, the rebuilt White House was prepared to last well into the next century. 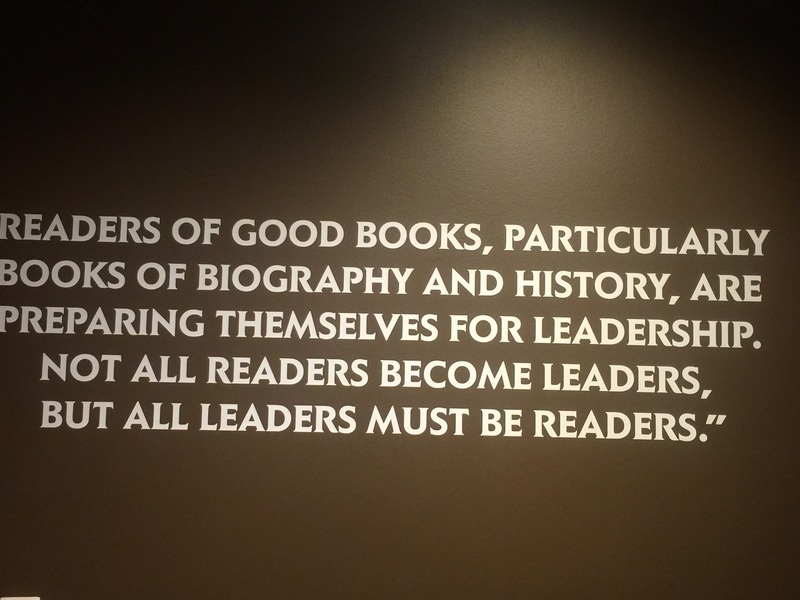 Loved this quote – it’s a reminder that leaders need to be readers….. we are doomed make the same mistakes if we don’t know about earlier ones our predessors made.